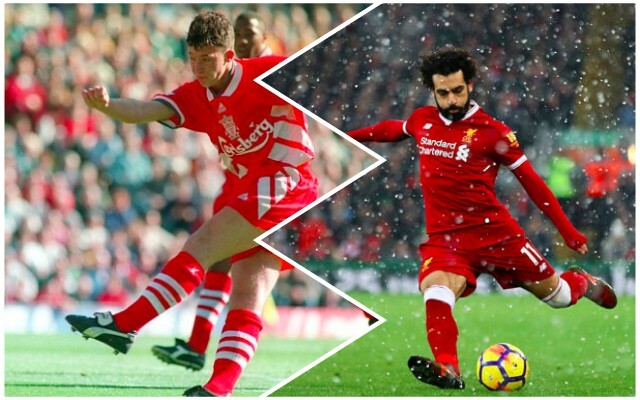 By scoring a goal with his brilliant left peg yesterday, Mo Salah equalled Robbie Fowler’s record of 19 left-foot goals in one Premier League campaign, which the former Red set back in 1994/95! Salah’s right is decent, but it’s not quite as prolific as his left, with only three of his domestic strikes not scored with his favoured foot so far. Bar Lionel Messi, Salah’s left foot is probably the best left foot in the world, we’d argue, although Arjen Robben and Antoine Griezmann may have an argument themselves! It’s crazy to think how well Salah has done since his summer arrival from Roma. We would have suggested a final goal tally of 10 or 11 as a successful debut season, considering how much we lauded Sadio Mane’s 14 last term. But the Egyptian is on 29 goals in all competitions, only one of which has come from a set-piece. Considering he also starts from the right-wing, that’s sensational. Liverpool should already be drawing Salah up a new contract. He’s worth every penny.